Once again, a young Kurd has been killed by the police, again in Cizre. A twelve year old this time, and his name was Nihat Kazanhan. May he rest in peace. Let’s try to look at trying to produce balanced journalism in Turkey on this topic. What you can do is go to Cizre, interview the parents, investigate the circumstances of his death, talk to eye witnesses, lawyers, local politicians. This would most likely give you several views on the story at hand. The parents will tell you what kind of a boy Nihat was and how they heard about their son’s death. Eye witnesses will tell you where Nihat was, what he was doing, where the police were, whether the police gave any warnings before taking any action, and they will probably know if the boy died instantly or not. The lawyers will present the legal background, pointing out violated rights and what they will do to try to get justice for the boy and his family, probably saying that earlier cases don’t give them much hope of getting justice. Local politicians, most likely from DBP, will give their political view on the events. Then what you would really like is to hear the view of a state representative as well. The local police chief, the governor, the Interior Minister, for example. The problem in Turkey is, though, that in by far the majority of cases, they won’t comment on the events. Sometimes, the police or the governor put out a press statement and then you can use that in your story, of course, but what would be much better is the possibility to ask specific questions that you need answers to in order to complete your story. Especially in a case like this. Since the accusation is ‘murder’, and that is a serious accusation. How does the state defend itself? I think it would help the state and the government a great deal if they were more willing to talk to the press, and not just stick to statements or to speeches to their groups in parliament to get their opinions out. A great example is a story I posted late September last year from Suruc, close to the Kobani border. Visiting the state hospital in Suruc I discovered that many wounded YPG fighters were brought there for treatment, and that the heavily wounded were taken to, among others, Urfa state hospital. I talked to doctors and to YPG fighters in Urfa hospital and got a pretty clear picture. Certainly a story worth telling. There were accusations of ISIS fighters being treated in Turkish hospitals, but these stories were never verified (and no, a picture of a bearded guy in a bed in some hospital is not proof), but there were no stories out yet on YPG fighters being taken care of by the Turkish state. I pitched to The Independent, they wanted the story. I tried my luck at the governor’s office in Suruc to get an official reaction, and to my pleasant surprise the governor received me. We talked about the fighters being treated; he admitted it and said that Turkey gives medical treatment to whoever needs it. I asked if that included ISIS fighters too, since I heard they were being treated in Akcakale and around, but he said he couldn’t comment on that because he was the governor of Suruc, not of Akcakale. I was really happy to have my story complete, and that I had got all sides to talk to me. I wish this was the case with every story I make. But unfortunately, it’s close to impossible to get interviews about, for example, the state of the peace process, with those who really pull the strings. I would love to have an interview with President Erdogan, with PM Davutoglu, with Interior Minister Efkan Ala of with for example Bülent Arinc. Why is it that they don’t talk to the press about Turkey’s most pressing problem? Why don’t they explain their side of the story? Why don’t they answer specific questions in one-on-one interviews? If I could talk to any of the officials mentioned above, believe me, I would make a huge story of it. Before and after the interview, I would shake the politician’s hand, like I did with Bayik, and yes, I would have a picture taken of the government representative and me, and I’m sure the Turkish flag would be in that picture too, and yes, I would tweet it. Not to make propaganda for the state, but to work as transparently as possible and to show my readers what I do and how I work. It’s on my to-dolist for the coming week: send interview requests to Tayyip Erdogan, Ahmet Davutoglu, Efkan Ala, and Bülent Arinc. And to the Justice Ministry, because they handle permits to go to Imrali. As a journalist, all I want is to talk to everybody who matters. 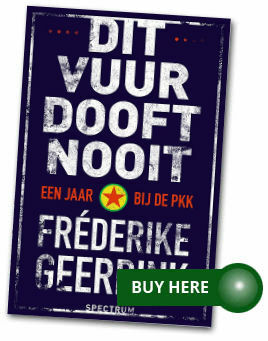 Frederike, frankly… most of what you write reads like lame excuses. It might be hard to work as a journalist in Turkey – no doubt. However, specific to the event in question, I read tons of other articles that that strive for balance. You have some statements from family and friends (and maybe a strong belief/hunch) but no facts. It is also misleading to state there were no statements from the state, in fact there were. The state officials do not have to talk to you “personally” but there were many statements. Plus there is some context to what is happening in Cizre for quite a while now – which is also missing in your characterization of the issue. At a minimum, you can state that the family and friends blame the police versus claiming it is committed by the police. There is a difference between the two – and you probably know that. I am not taking a side on the event you are reporting. I am just commenting on your style of journalism and this is just poor journalism (with excuses), sorry! Dear Izi, thanks for your reaction. But you don’t seem to understand the column. This is not a reportage I made in Cizre, I use Cizre here as a case to see how reporting on the ground goes in Turkey. And yes, there can be statements by the authorities that you can use, but like I said, they are often not useful. What you want is to ask specific questions, like I explained. An official statement always raises questions, and those are the questions you want to be able to ask. That the authorities are not open to that, says something about them. For example, in Diyarbakir two years ago a young man was killed by police. The governour made a statement: ‘He died bcause a bomb exploded in his hand’. But the boys hands were unharmed when he lay in his coffin. So you want to be able to ask the gouvernor: ‘How come his hands are not harmed if a bomb exploded in his hands?’ Of course, the gouvernor isn’t open to such questions, because it would be embarassing for him. The state was lying, so they just give a statement and that’s it. 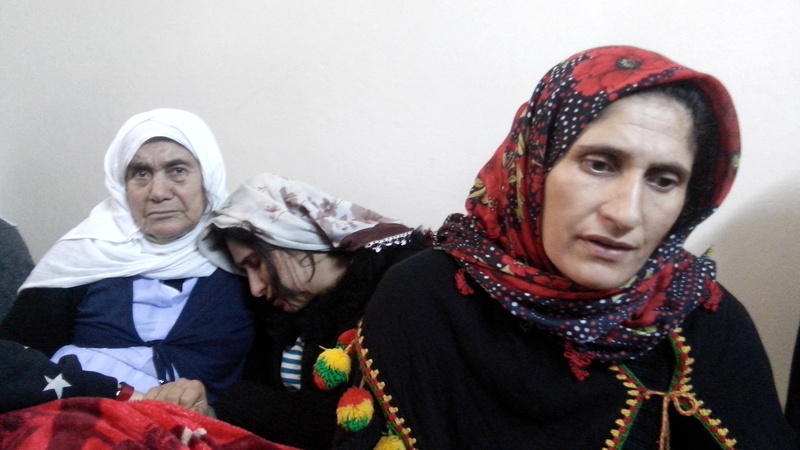 The real Cizre story will be in The Independent on Sunday 18 January. It went exactly as I predicted, unfortunately. I do understand your column and get what you are doing. I am not sure you got my point though. A case that happened two years ago might have its specifics. However, it does not really bear relevance to the points I raised above in my post.